Let Middle Tennessee Fence company install your ideal fence for your Murfreesboro home. We have worked with many home owners in the Murfreesboro area to install custom fences for them, and we want to do the same for you! Add privacy to your home…Increase your home’s value….Increase your home’s curb appeal….Keep pets and children safe in your yard….Help deter crime by adding a fence….there are countless reasons to add a fence to your home property. Wood fences, Aluminum Fencing, Vinyl fences, Privacy fences, Farm fencing, Automated Gates, Retaining Walls, Decks, Pergolas and more. Do you need a fence for your Murfreesboro business? A commercial fence will add value to your property, help protect your buildings, help create safe zones and more. We can install a wide variety of metal gates and also automated gates for any Murfreesboro business. Whether you are a Murfreesboro home owner or business owner, call us today for all of your fence needs. 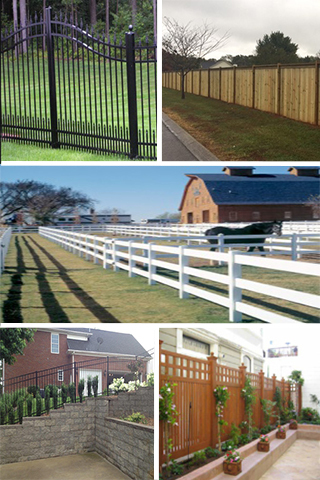 We are the trusted, local Murfreesboro fence company.